Tatiana joined ECES team on 2013 and supports the finance and program teams in implementation of PEV-SADC project training activities, assists in the planning of activities of the PEV-SADC project, assists also in legal side, and audit preparation of the project. Previously based in Madagascar, she is currently based in ECES HQ in Brussels and is supporting on implementation and follow-up of PEV-SADC activities. Before joining ECES team, she worked as Junior Legal Adviser for PriceWaterhouseCoopers Tax & Legal in Madagascar where she dealt with creation, merging, dissolution of companies. Before that, she served as Administrative Officer within a Malagasy Advisory and services Company dealing with logistical support on implementation of symposium, training and workshop, but also with assessment and follow-up of projects in several fields with different public and private actor such as company, ministries, local and international organizations. 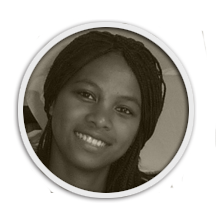 She graduated from the University of Antananarivo and holds a Master of Advanced Studies in Business Law. Lawyer in the basis, her work in PwC, but also in an advisory company made her polyvalent and enhance her knowledge from different field of work. She speaks Malagasy, French and English.